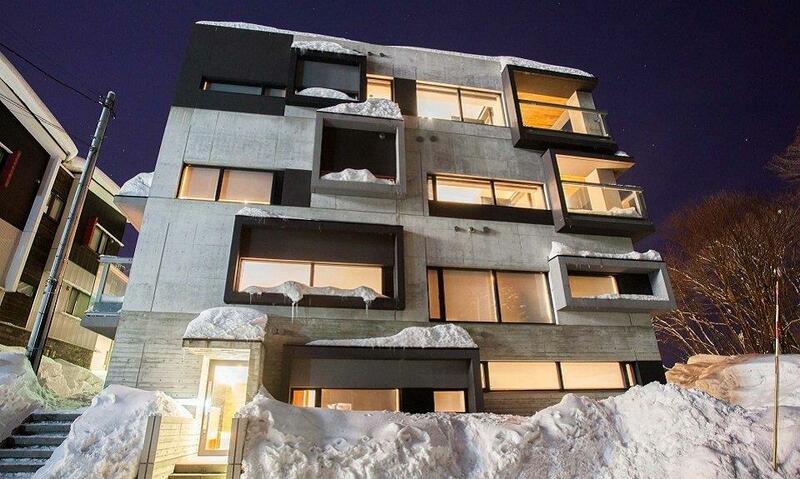 Niseko's Shikaku Apartments are luxury-style studio, 2 and 3-bedroom apartments with sought after avant-garde ‘Sekka’ style design. 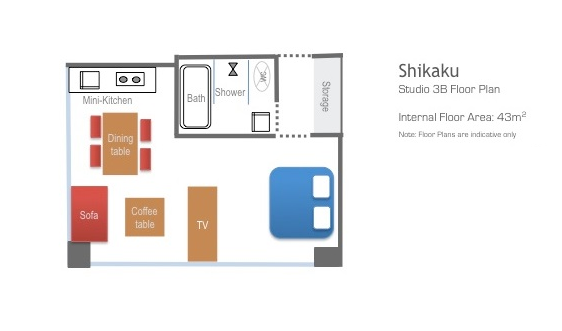 Shikaku Apartments enjoy a prime location at the top of Hirafu Middle Village from which lifts and Niseko's key amenities are all within easy walking distance. 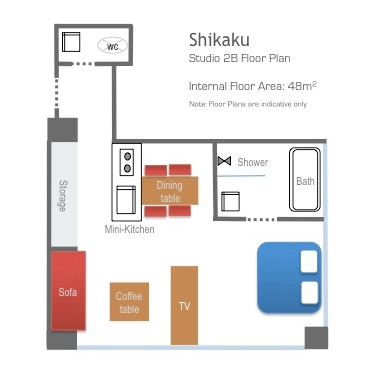 Shikaku is a complex of luxury studios, 2 and 3-bedroom apartments set in upper Middle Hirafu Village just 3 minutes’ walk to the lifts. 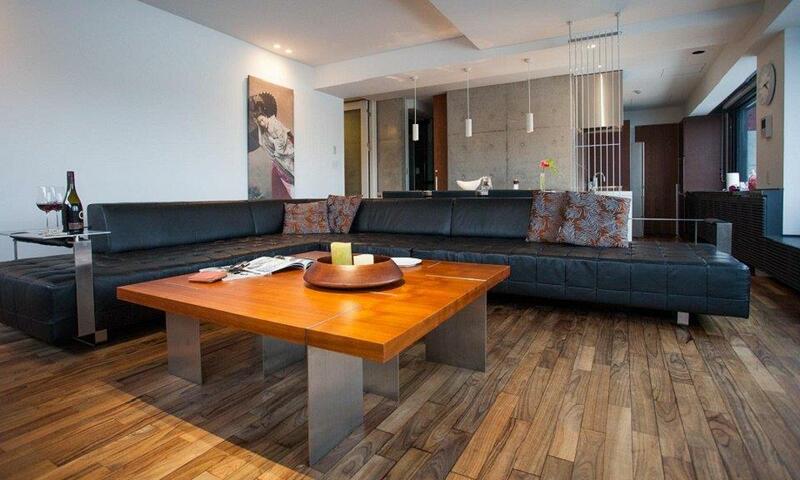 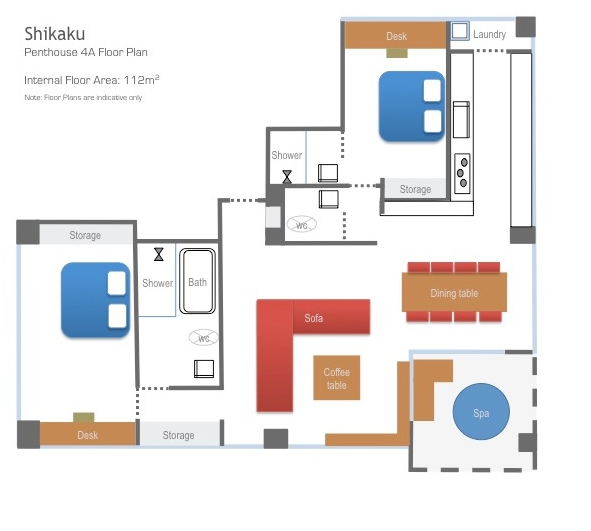 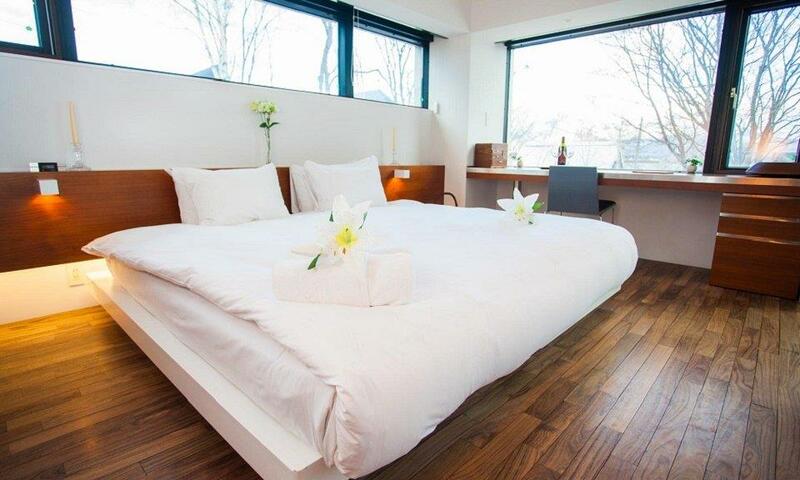 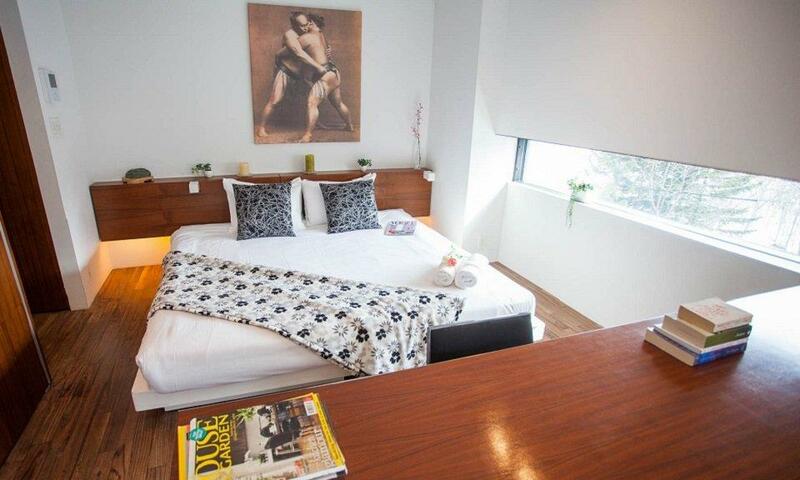 Shikaku Apartments boast privacy and comfort with the latest in western appliances and modern entertainment amenities. 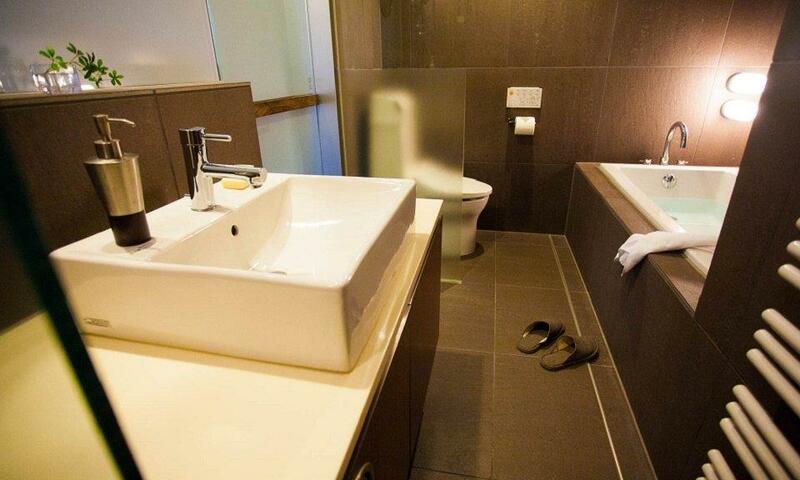 Each master bedroom features a luxurious ensuite bathroom with deep bathtub for the ultimate in relaxation. 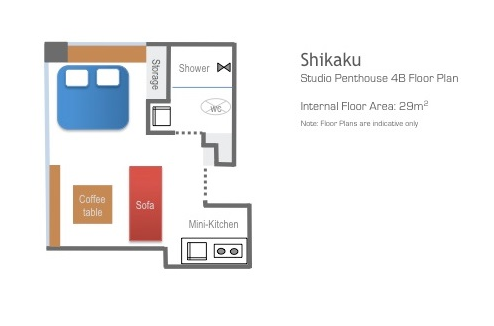 The top floor Shikaku Apartments boast outdoor spa baths on an external covered balcony. 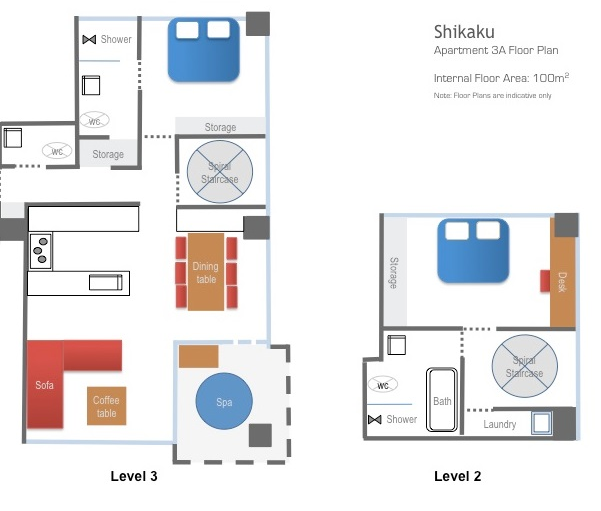 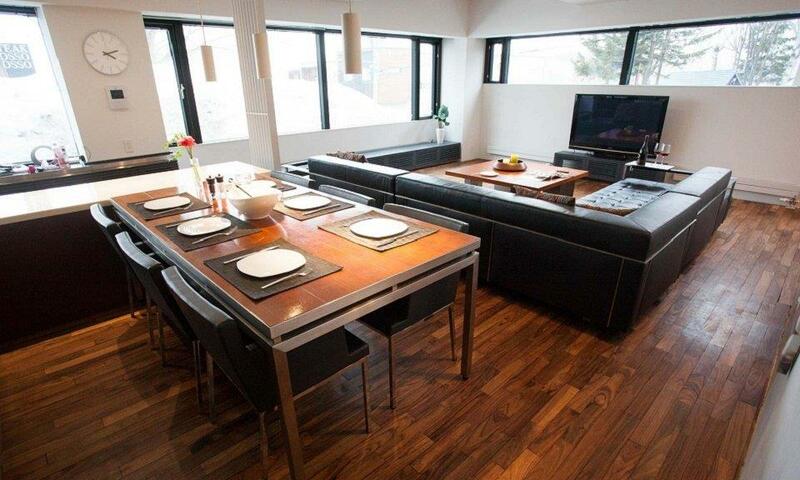 Shikaku Apartments with their ‘avant-garde’ design, also offer full modern kitchens, private laundry facilities and ski storage, as well as internal elevator, ensuring the ultimate comfort and convenience throughout your stay in Niseko. 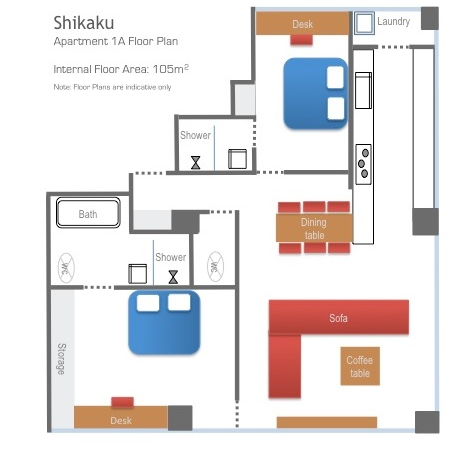 Niseko Shikaku Apartments are only 3 minute's walk to the Ace Family lift, enjoying a prime Middle Hirafu Village just below the main road in close proximity to the Seicomart convenience store. 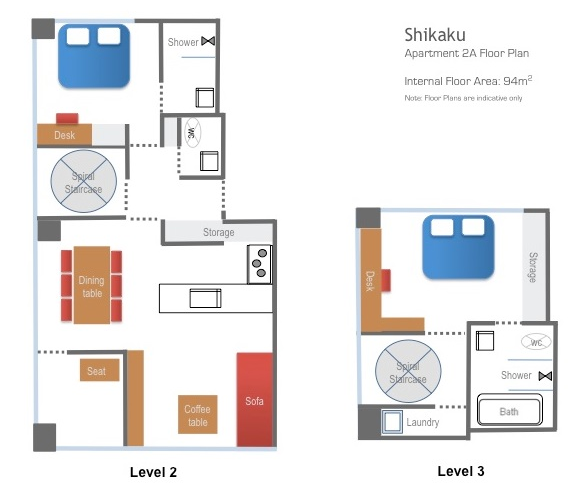 Shikaku Apartments are also in very close proximity to a great selection of surrounding restaurants, bars and other conveniences. 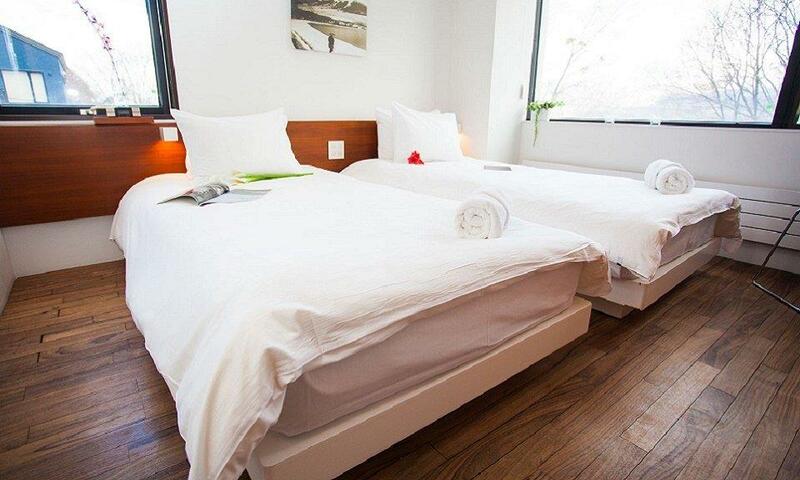 The Niseko United shuttle stop is just a 2 minute walk away, whisking you to the Gondola, Centre Four, or to other Niseko United resorts.